How am I when I am at my best? For many people, striving to find their purpose in life can resemble a similar winding quest, filled with many twists and wrong turns. Some blindly follow passions that aren’t based in reality, then wind up feeling discouraged when their dreams don’t materialize. Others resign themselves to careers that bring them money and status, but aren’t fulfilling. 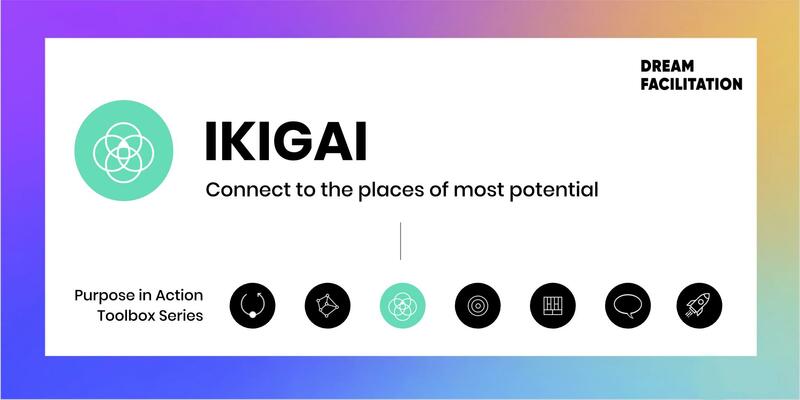 In this workshop we will apply the 'Ikigai' framework to help you to get a clearer sense of purpose in order to reveal your places of most potential. Ikigai is a Japanese concept that means "a reason for being." The word "ikigai" is usually used to indicate the source of value in one's life or the things that make one's life worthwhile. It can be described as the reason you get up in the morning, and it gives you what you need to start living your life in a more meaningful way. During the workshop we will apply an interactive and creative methodology that will reveal a loop between your inner self and the outside world. 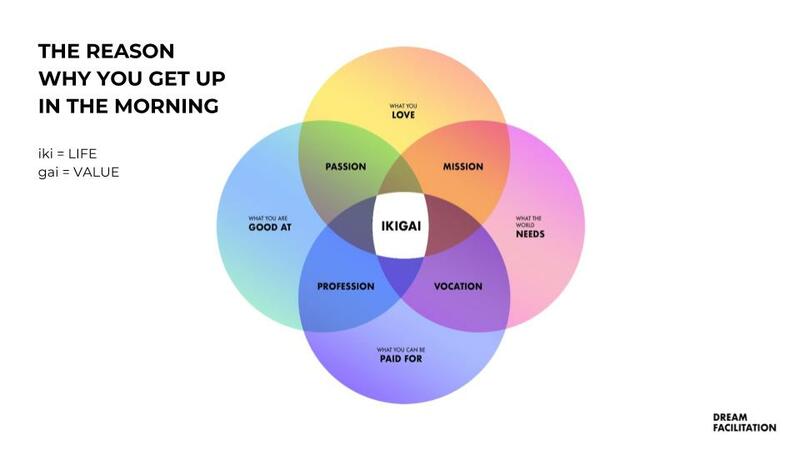 By bringing together different areas of your life such as work, hobby, family, or anything that brings joy and happiness to their life, you will gain clarity on your Ikigai, which can serve as a compass to navigate both career and life decisions, leading to a better and more fulfilled life. Clarify your purpose and give shape to your dreams. Get connected with your inner strength and individual potentials through individual and group exercises. Luiza Arcuschin, Founder at Dream Facilitation. Luiza empowers individuals and organisations to turn their purpose into action through hands-on consulting and group workshops. She has a Bachelor’s degree in Business Administration, specialising in Entrepreneurship and Sustainability. She also holds an MBA in Management and Technology. In order to make this workshop accessible to all, we would like to give you the freedom of consciously choosing with how much would you like to contribute. As we only have 15 places available, we kindly ask you to register with a €15 commitment fee, and after the workshop we will give you the opportunity to make a voluntary contribution. This is a practice to strengthen the sense of interdependence that exists between us, helping to transform our social system by distinguishing money from gratitude.